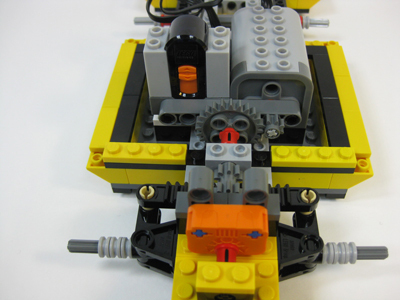 This LEGO set is definitely a set that wil make you have fun for hours. Even though it doesn't have many special parts there is a bunch of lego bricks of all kinds and they are great for building without instructions. There are 3 models to build in this LEGO kit so I think that this is one of the great things about this LEGO kit. The main model of the car is not an easy build and takes even advanced builders a couple of hours. You never get bored even if you are rebuilding because the end product is just so wonderful. I bought this kit for about 40.00 dollars (now it is about 30.00 dolllars a 25% discount! the link is http://www.amazon.com/LEGO-Creator-Cool-Cruiser-5767/dp/B004P98QM6/ref=sr_1_1?ie=UTF8&qid=1374416289&sr=8-1&keywords=lego+cool+cruiser ) The models you can build for this kit are big enough so people of all ages will enjoy it. This set is definitely a bargain with 621 pieces included. 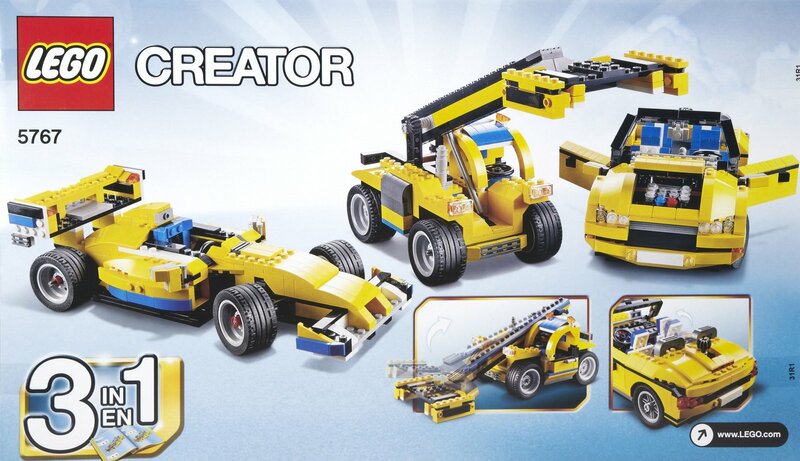 Lego Creator is very popular and I think that even though that the kit is not from a popular theme like Star Wars, it will definetly sell well in the secondary Lego market. This set is not an exclusive set or anything special. I think that is one of the great things about this Lego set. You do not have to worry about this Lego set going out of stock. The packaging was average for a LEGO set in that price range. The only thing I could have asked for was that the instruction booklets were taped to a piece of cardboard because when you open the kit, the instruction booklets are folded in half. This LEGO set is definitely well built and it is a topic of conversation when built and displayed. It is an impressive set when you see other Lego kits in the same price range. 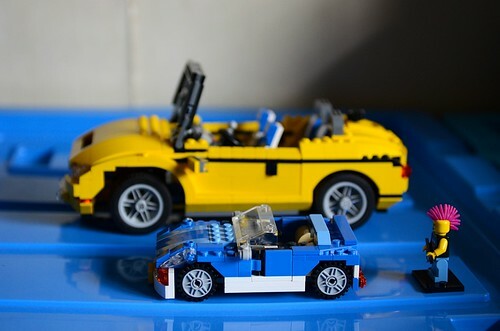 Here are some pictures of this wonderful Lego kit.